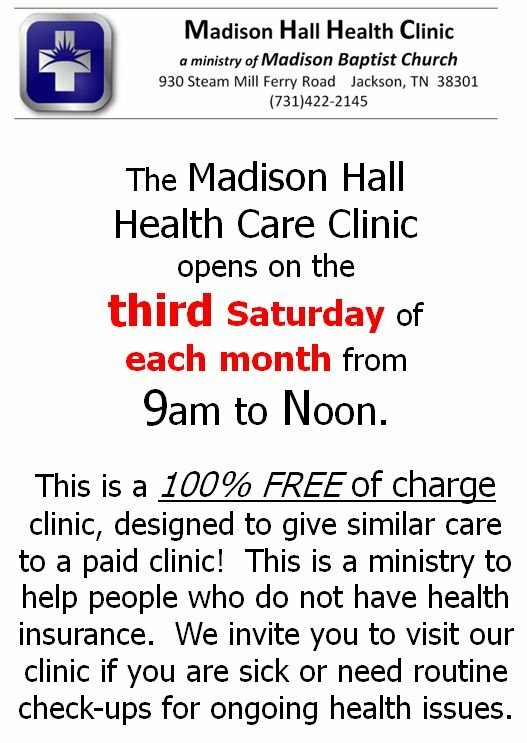 At Madison Baptist, you will find friendly folks who love the Lord. You will be welcomed, encouraged, and challenged with the Bible as our base, Christ at our core, and missions as our motivation. Christ Centered - Mission Minded We believe the Bible is the inerrant, infallible, message inspired by Almighty God and is authoritative in all things. Jesus Saves is our message. We seek to win people to Christ for their eternal good and for His Kingdom's sake. The decision to get saved is the most important decision you will ever make. To say "yes" to Jesus as your Lord and Savior grants forgiveness and acceptance into God's family. The Bible presents a clear path to eternal life. First, we must recognize that we have sinned against God: "For all have sinned and fall short of the glory of God" (Romans 3:23). We have all done things that are displeasing to God, which makes us deserving of punishment. Since all our sins are ultimately against an eternal God, only an eternal punishment is sufficient. "The wages of sin is death, but the gift of God is eternal life through Jesus Christ our Lord" (Romans 6:23). However, Jesus Christ, the sinless (1 Peter 2:22), eternal Son of God became a man (John 1:1,14) and died to pay our penalty. "God demonstrates His love for us in this: while we were still sinners, Christ died for us" (Romans 5:8). 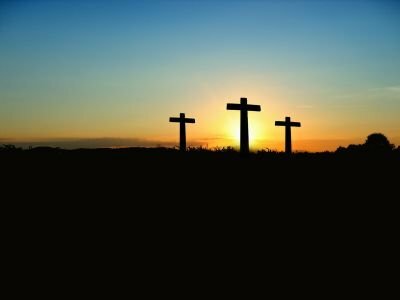 Jesus Christ died on the cross (John 19:31-42), taking the punishment that we deserve (2 Corinthians 5:21). Three days later He rose from the dead (1 Corinthians 15:1-4), proving His victory over sin and death. "In His great mercy He has given us new birth into a living hope through the resurrection of Jesus Christ from the dead" (1 Peter 1:3). By faith, we must change our mindset regarding Christ - who He is, what He did, and why - for salvation (Acts 3:19). If we place our faith in Him, trusting His death on the cross to pay for our sins, we will be forgiven and receive the promise of eternal life in heaven. "For God so loved the world that He gave His one and only Son so that anyone who believes in Him will not perish but have eternal life" (John 3:16). "If you confess with your mouth, 'Jesus is Lord,' and believe in your heart that God raised Him from the dead, you will be saved" (Romans 10:9). Faith alone in the finished work of Christ on the cross is the only true path to eternal life! "For it is by grace you have been saved, through faith - and this not of yourselves, it is the gift of God - not by works, so that no one can boast" (Ephesians 2:8-9). If you want to accept Jesus Christ as your Savior, here is a sample prayer. Remember, saying this prayer or any other prayer will not save you. It is only trusting in Christ that can save you from sin. This prayer is simply a way to express to God your faith in Him and thank Him for providing for your salvation. "God, I know that I have sinned against you and deserve punishment. But Jesus Christ took the punishment that I deserve so that through faith in Him I could be forgiven. I place my trust in You for salvation. Thank You for Your wonderful grace and forgiveness - the gift of eternal life! Amen!" If you prayed that prayer just now, please click the "contact" link and tell us about your decision. These links will connect you to some great resources. 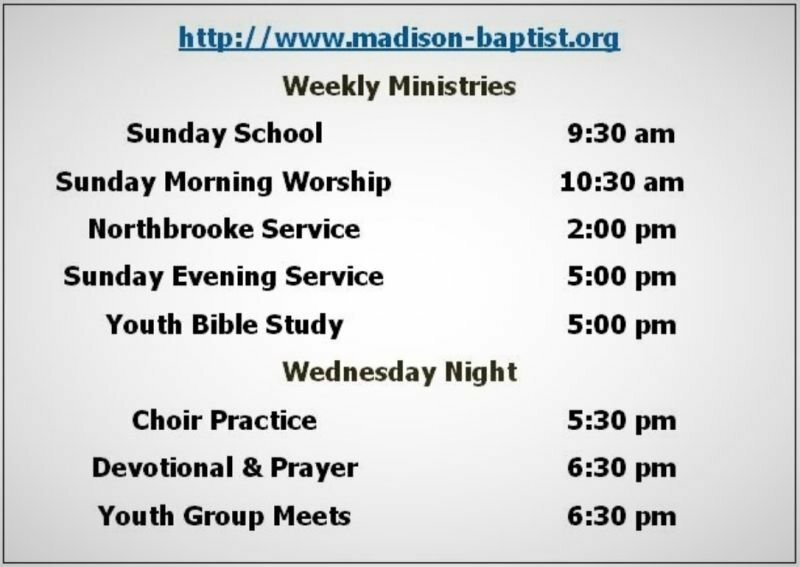 Here is a brief description of the various areas of church life at Madison Baptist. We try to maintain a family style as we help each other learn of and grow closer to our Lord and Savior Jesus Christ. Prayer is a part of everything we do. We feel that the church should reflect the best practices of any individual Christian, so we pray as often as we meet. We do not memorize liturgies or quote from prayer books often. Instead, we pour out our hearts to God and invite His work in us and through us. We have begun praying for a new Great Awakening in our country. Won’t you join us in asking God to send a great revival that will spread from church to church and community to community! Our seniors are leaned upon heavily at Madison. Their walk with the Lord, tried through the hardships of life, coupled with knowledge learned through experience as well as revelation make them our most valuable human asset. Our seniors love the Lord and will share with you for your good and His kingdom. Sunday School is an important part of our church life. Our teachers work hard to present relevant Bible studies to help believers of all ages grow closer to Jesus. We are diligent to keep our classes from becoming "closed-off" or "cliques" while encouraging each class to take advantage of the closer fellowship that these classes provide. Studying the Bible, discipling one another, and outreach to the unchurched are our goals for Sunday School. We believe in providing support for young people on several levels. First and foremost, we pray for our teens continually, because we know that the pressures of life are intense for them. We also provide regular activities and ways for kids to get together and be kids - all with a focus upon their spiritual lives and relationship to Christ. 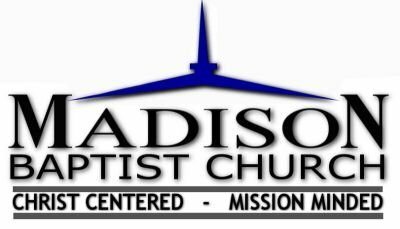 Lastly, we are committed to providing high-quality role models in the adults they encounter at Madison Baptist. David and Suzi Prince area great additions to our Youth Department and to our church. They are role models and teachers to help out teens navigate through these complicated times. For us, music is a means to an end, or a vehicle to help us get to a destination... we want to arrive at a place of worship, a place where we think about and express our love for God. Our goal in our music is to help clear the path, spiritually speaking, to that place of worship. We worship when we “sing the wondrous story of the Christ who died for me." We care about our community. We show our love for South Jackson in several ways by supporting local aid organizations to outreach ministries. We try to prove our love for our community through service. We feel that this is the example that Christ has left for us to follow.